Well known Mac accessory manufacturer Twelve South has taken a step into the iPhone case making business and released a wallet case which it is calling the BookBook. The BookBook case has been modelled on a vintage leather book cover and really does look the part; if you are into vintage type book covers! Protect your iPhone 4 between two hard-back covers. Fold the covers back-to-back to talk. It feels great in your hand. BookBook allows edge-to-edge iPhone access. No frames in the way of your thumbs here. You can access all iPhone controls and ports with BookBook. Charge, sync and use the headphone jack while your iPhone is safe and sound in its phone book. 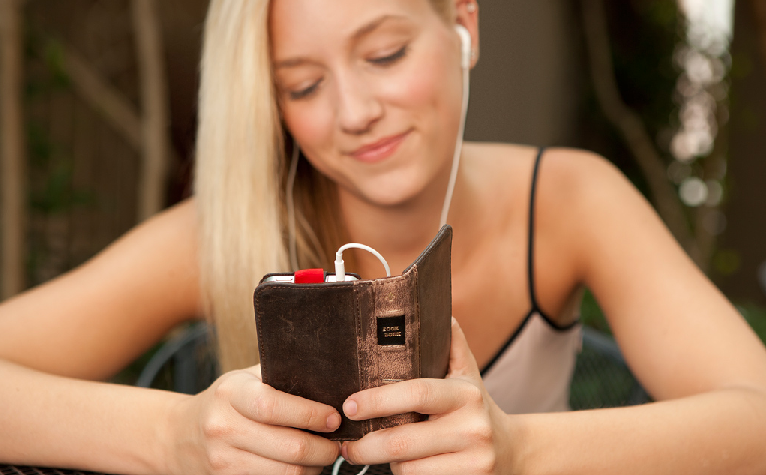 The BookBook case is also a wallet so you only need to carry one thing with you when you go out. It doess appear to be a very nice looking case but I am just not sure if I want my iPhone to look like an old book. The BookBook case is only available for the iPhone 4 at a price of $59.99. Take a look at the video after the break to see it in all its glory!